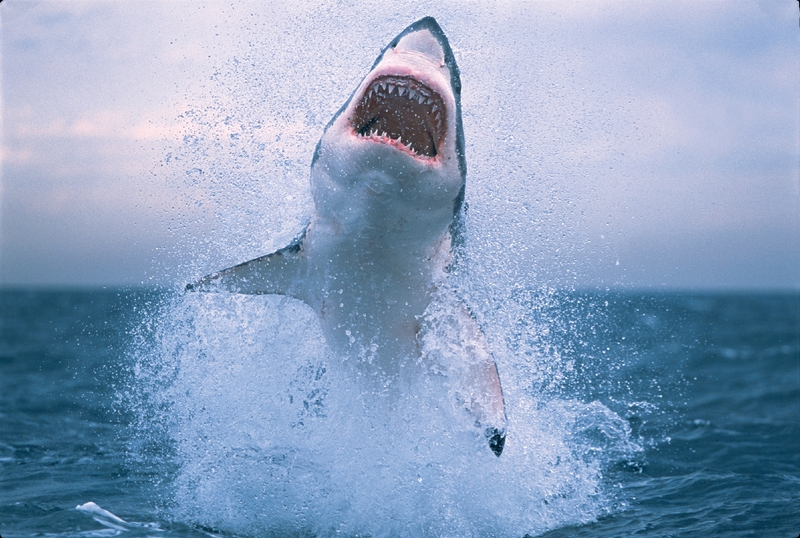 Hey, it turns out that Jaws and his great white shark relatives are just like us! They like to swim in the ocean. They like to eat seafood. And they like to have their own special hangout spot. The folks over at the Schmidt Ocean Institute told the CNNers that they have found the great white sharks’ hangout spot in the Pacific Ocean in between Hawaii and Mexico. Sorry, I don’t have the exact coordinates of where this special hangout spot is. But ya know, would ya really wannna know the exact location where Jaws and his relatives spend their lazy days considering the fact that you would be fast food for them?! No, I didn’t think so because nobody likes to be dinner. That’s not fun, being dinner. Eating dinner is fun, but being dinner not so much. The simple answer to that question is the folks over at Schmidt Ocean Institute are professionals with many, many, many years of experience studying marine life. They have PhDs in marine biology, biology, oceanography, statistics, and other important science stuff. The Schmidt Ocean Institute folks know their stuff. Plus, they stumbled upon Jaws and his relatives’ hangout spot after they tagged some sharks with pop-up satellite tags so they could track when and where they were going and what they were doing when they got to where they were going. Y’all know sharks. They are able to go deeeppp into the ocean. They can go thousands of miles down into the ocean. Whenever you go that far down, you can’t breathe or see; unless nature has designed you in such a way for you to see and breathe at those depths. Plus, the further you go down into the ocean, the heavier the pressure and the colder it is. Mother Nature didn’t design us to deal with all of that darkness, coldness, heaviness, and what not. That’s why we need submarines to explore the deep, deep, deep sea. The sharks, though, are a different story. They can deal with all of that. The scientists placed tags on the sharks’ fins in order to record the depths the sharks swim down to in the ocean, the water pressure, temperature, and the intensity of the light. The ocean’s depth, pressure, temperature, and light intensity tell the scientists where the sharks are. The one thing I know about scientists is that they love data; the more data the better. It’s like winning the lottery. All of that data allows them to write articles and books that they can sell and turn into a profit. They were happier than a preacher who got all of God’s tides and offerings on Sunday morning. I mean those scientists were so happy about their findings that they all hopped on a plane, flew out to New Orleans, and went to Drusilla’s to get them some red hot Cajun crawfish.